Innovative weight distribution permits the console to be farther forward than most other center console designs, for the biggest fishing cockpit you’ll find among boats of similar length. With a 24-degree deep vee hull, reverse chines, the safety of high gunwales and Bluewater’s famously flat, smooth ride in all conditions, the 2850 will get you to the farthest fishing grounds and back quickly and comfortably. 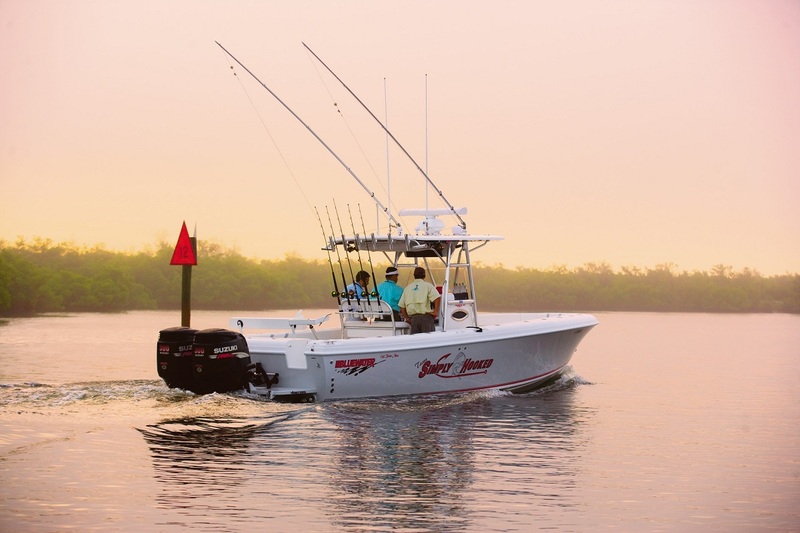 Along with great passenger and storage capacity, this boat is packed with all the features you’re looking for in a serious offshore fishing machine, including easy cleanup when you get home. Bluewater also gives you the most options for customizing your boat to meet your exact requirements. To view the Bluewater 2850 gallery click here.